Fit to remove spin-on filters and filter housings. Chrome plated surface finish to help prevent corrosion and durable in using. 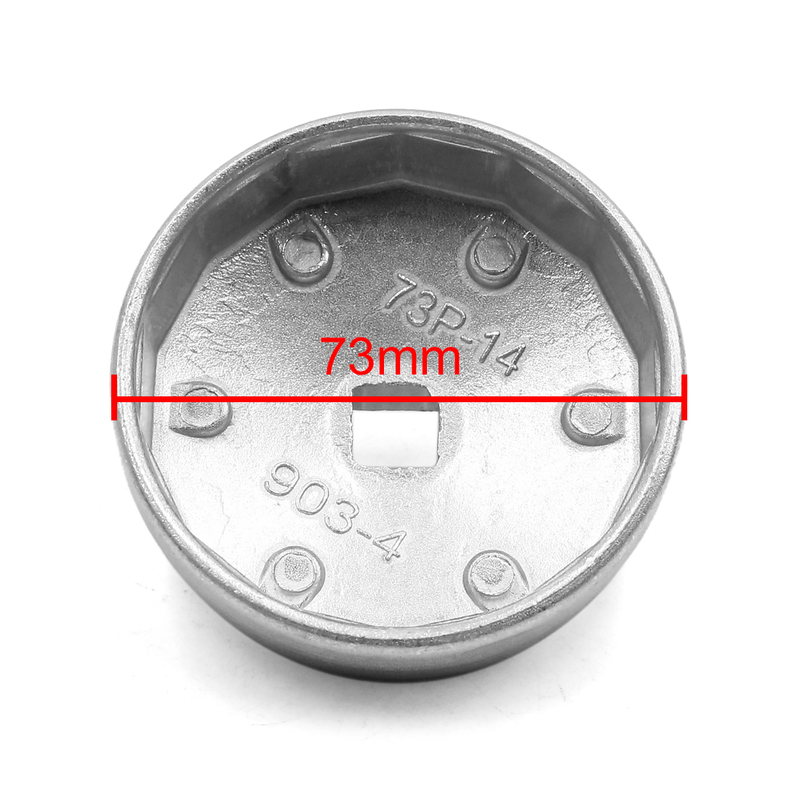 The inner wall surface design of polygonal dome can increase the bite force of oil filter wrapped. The top is square hole and external hexagonal,so you can use the corresponding standard tools to twist. It is fit for many vehicles and not easily deformed. And its surface is smooth and easy to install. Inside Diameter: 73mm / 2.87"